Bryan Habana is among the big names who will be attending the Laureus World Sports Awards next month. The Laureus World Sports Academy Members and Ambassadors will be turning out in force to honour the greatest athletes of today at the Laureus World Sports Awards in Monaco on February 18. 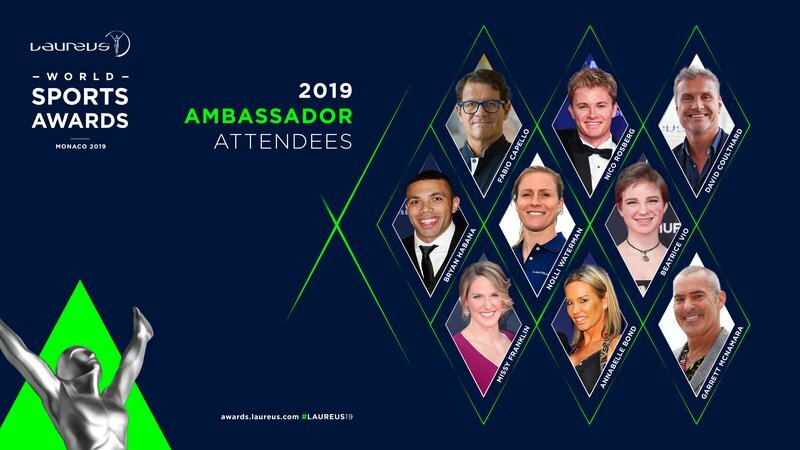 A group of world-famous Laureus Ambassadors are the latest to confirm their attendance, including celebrated football manager Fabio Capello, former Formula One stars Nico Rosberg and David Coulthard, and prolific South African rugby try-scorer Bryan Habana. “I am delighted that so many members of the Laureus Family will be in Monaco for this great event,” said Laureus Chairman Sean Fitzpatrick. Siya Kolisi is the only South African nominated in any category at the 2019 Laureus World Sports Awards‚ which will take place in Monaco next month. The Laureus Sporting Moment of the Year consists of ten winning moments and our captain has a very good chance of winning! The winner of the Laureus Sporting Moment of the Year will be decided by a public vote. Vote for Siya Kolisi’s 'Uniting A Rainbow Nation' moment here. ICYMI: The final vote for the #LaureusSportingMoment of the Year is now live!